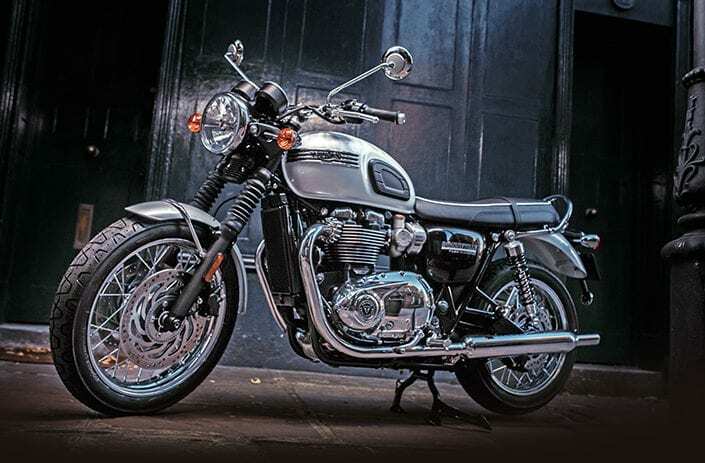 IN CELEBRATION OF the Triumph Bonneville’s 60th birthday in 2019, Triumph is to make two special editions of its 1200cc T120 twin. The Bonneville T120 Diamond Edition features a one-off premium paint scheme and a high specification finish and detailing. The Diamond Edition has a white and silver tank design and Bonneville T120 Diamond logo on the side panels. There are chrome four-bar Triumph tank badges, inspired by a Triumph look that goes even further back than 1959 and were first seen on the Speed Twin. The bike features chrome engine covers and badges and a home chainguard. Nine hundred Diamond Edition bikes will be made. 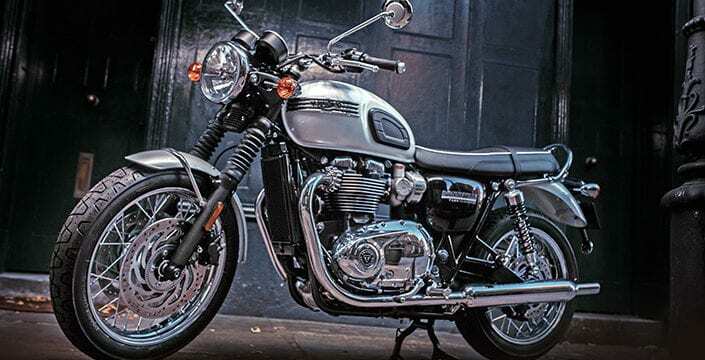 Triumph has also launched the Bonneville T120 Ace, built to celebrate the very first generation of cafe racers and London’s Ace Cafe, dressed in subdued matt grey paint, with an Ace Cafe themed detailing, with plenty of black paint on the engine casings. The mudguards are slimmed down and there are Ace Cafe and Bonneville T120 graphics. The T120 Ace will be built in a limited run of 1,400 machines. Both machines are based around the T120 platform, with 1200cc twin cylinder engines, ride-by-wire fuel-injection and engine management system, a six-speed gearbox and 270-degree crankshafts. Peashooter style exhausts have a twin-skin design to cover all the pipework that is needed to control emissions, which Triumph say retain a deep and rich exhaust note. The latest T120 engine is said to be 13% better at controlling emissions and conserving fuel than the previous generation and has a new extended service interval of 10,000 miles. Triumph is also trying to tempt buyers with a £1,000 clothing and accessories deal when buying a machine from the Street Twin range. Buyers will get a £1,000 voucher to purchase official Triumph clothing and accessories. This offer is available to those buying a Street Twin or Street Scrambler using Triumph’s Tristar finance package. The offer ends on December 31. Previous Post:Kawasaki W800 twin’s welcome return! Next Post:Be quick – and grab yourself a bargain!